Stellar Adventure Media announces a multi year multi sport movie chasing the prefect conditions to find themselves in the right place at the right time. Each Stellar Artisan is a spoke in the... YES.NOWBOARD AK Section Wyatt and Chris Coulter rip powder and spines with SEABA Heli in Haines, AK. Prospecting Idaho 2013 Teaser Teaser for Smith Optics' Prospecting Idaho 2013 season. Shot by Yancy and Wyatt Caldwell. 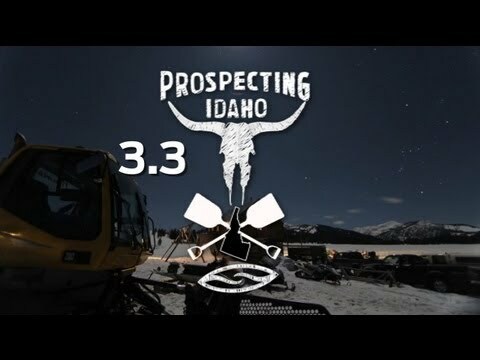 Editied... Prospecting Idaho 3.3 Episode 3.3 of Smith Optics' Prospecting Idaho Season 2012. Featuring riding and timelapse imagery... Terra Sanctuary A promotional video produced for local artist Braden Jon Anderson. Shot and edited by Yancy Caldwell PowExplorer Gathering Film Fest Entry The winning flick for the 2011 Sun Valley Gathering Film Festival. Hempitecture Kickstarter Breaking ground June, 2014. HWF Membership DVD 2012 A look at what makes Hagerman Wings Farm one of the best duck clubs in the world. Pioneer Traverse A piece we put together while on a First Ascent/Eddie Bauer Team trip for a Men's Journal feature... MTN Approach: Keep It Together The MTN Approach Team Edit / 2012 Season Promo as featured on Snowboardermag.com Featuring riding,... Daron Rahlves // Sun Valley 2014 D Rahlves hauls balls on Sun Valley groomers in preparation to forerun the Hannekahm World Cup... SMG Avalanche Education A promotional video for Sawtooth Mountain Guides avalanche education courses. Shot with Spencer... Smith Optics Silverton Trip Early season trip to Silverton, CO with Smith Optics to deliver product to the Silverton Mountain... Snowboarder Mag BOTB Smith Optics' entry for Snowboarder Magazines Superpark 16 Battle of the Brands Video Competition.... Sun Valley Super-X 2013 A super serious look at Sun Valley's unveiling of their new Ski/Snowboard X-course on Dollar Mtn. SV Road Rally - Bugatti On site video capture: Yancy and Wyatt Caldwell. Editing by: O'Gara Coach of Beverly Hills Media The Year in Re-Lapse As winter comes to end, we milk the last drops of frozen precip before happily retreating to our... Moab Madness A trip to Moab to explore some of the surrounding terrain.